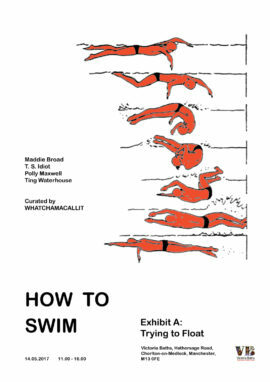 HOW TO SWIM is a series of six contemporary art events in spaces across Victoria Baths, Manchester. From May-November 2017 artists will react to the site in day-long exhibitions. This project is being organised and curated by WHATCHAMACALLIT collective. 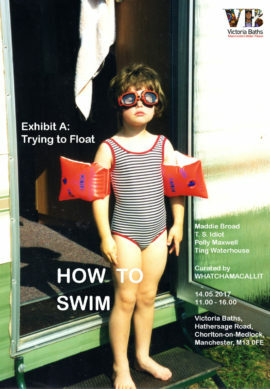 Victoria Baths, Hathersage Road, Chorlton-on-Medlock, Manchester, M13 0FE.